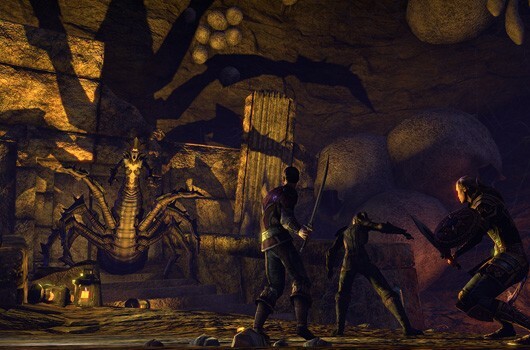 Can’t get enough coverage of The Elder Scrolls Online? Did yesterday’s hands-on and interview with Paul Sage leave you craving more? We’ve got you covered with some in-game video footage and a dash of extra details — narrated by me! — from my recent trip to ZeniMax Online Studios. Learn about the design philosophy behind ESO as well as some details about synergies, finesse, and character progression. There are also tiny bits of information regarding mounts and vampire skills. Is your curiosity sufficiently piqued? Let me tell you all about it after the break!